A series of assassinations in London and a civil war in a backward South American republic are found to be bizarrely linked by the discovery of a parasitic micro-organism which defies the laws of biochemistry. 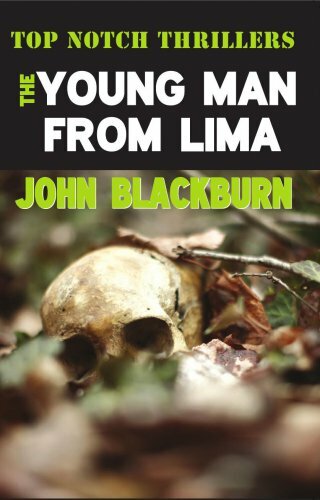 What is the connection with the bloodstained legend of the deranged ‘Young Man from Lima’ who disappeared into the jungle of war-torn Nuevo Leon sixteen years previously? Could the crazed guerrilla leader really be plotting to unleash a biological weapon on the whole human race? Prominent scientist Marcus Levin and retried Intelligence boss General Kirk believe the answers lie deep in a remote jungle stronghold and their journey there is not so much a voyage into the heart of darkness as a plunge into the heart of a violent nightmare. John Blackburn was a unique voice in British crime fiction, often combining the Cold War spy story with the action thriller and spicing the whole brew with a generous mix of Gothic horror and the supernatural.